At TIG Risk Services, all of our surveillance services are performed by seasoned investigators who have the means and ability to collect unbiased, court-ready evidence quickly and efficiently. Through discreet, covert video surveillance, we capture a subject’s activities and give you the information you need to make an informed decision. Our staff of professional, licensed surveillance specialists is the largest and most skilled surveillance team in the investigative industry. TIG ensures each investigator is experienced and completes our proprietary in-house training program before ever working an assignment. The bottom line, TIG provides clear and irrefutable video evidence of a claimant’s activity over a specified time frame. No more wondering what the truth may be, we bring the truth to you. 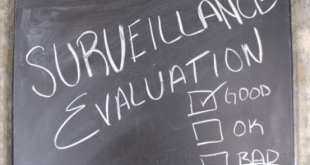 To learn more about our surveillance services or any of our many ancillary services, contact us today. 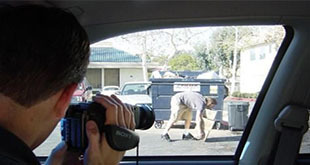 Our field investigators are prepared with a detailed comprehensive report on the subject of each surveillance assignment. Few companies actually conduct a pre-surveillance check, they’re often times more concerned about profit over product. Only experienced, licensed investigators are able to get you the results your looking for. It’s all about clear and detailed observation and documentation of a person, place, or thing to gather facts that can be used to build a case or confirm a suspicion. Nothing can deliver the kind of clear visual proof an HD picture can, and a clear picture will almost always stand up as evidence in court. Our automatic timestamps and GPS technology give you the peace of mind your assignment is being handled effectively.